3. Brush off: This handshake type is a quick grasp and then a release that feels like your hand being shoved aside. This handshake is a statement of "it's my turf and my agenda that matters, yours doesn't." 4. The two handed handshake: Usually seen among Politicians, this type of handshake is said to convey the meaning of warmness, friendly, honest and trustworthy. But there's a catch here: if his/her left hand is staying on your hand, it is a sincere handshake. However, if the hand goes up your wrist, your arms or your elbow, he is trying to get something from you. 5. Controller: You feel your hand being pulled toward the person or strongly guided in a different direction, perhaps towards a chair. People who do this are controllers. This means they want to dominate any inanimate or animate object in the room (and that would include you). 6. Finger Vice: When someone grabs your fingers and not your entire hand it is meant to keep you at a distance. These people are often insecure. If they also crush your fingers they are adding a show of personal power, which is also designed to keep you at a distance. 7. Bone Crusher: This form of squeezing your hand until you cringe is clearly designed to intimidate you. You don't have to pretend to be a wimp with them. In fact, they may respond positively to you if you present yourself with strength. 8. Lobster Claw: Like the claw of a lobster, the other person's thumb and fingers touch the palm of your hand. The person doing this fears connecting at a deep level and may have challenges building relationships. Take your time. Allow them to open up at their own pace. 9. 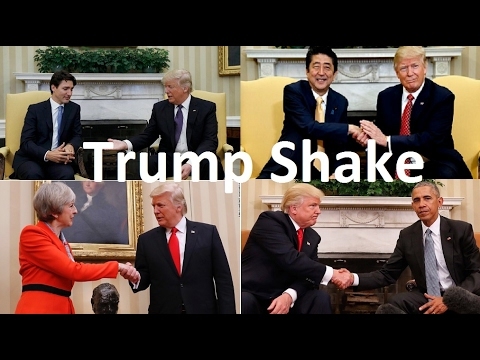 The Top-Handed Shake: Instead of holding his hand in a vertical position, this hand shaker holds it horizontally, so that his hand is on top of yours. This means he feels superior to you. 10. The Pusher: While this person shakes your hand, she extends her arm so that you can't get close to her. She needs space and is not letting you in. You must give her the physical and emotional space she is asking for, if you want to be her friend.